Seven Illinois hospitals – including four in Chicago – are among the best in the nation, according to The Leapfrog Group, a nonprofit watchdog. The group’s 2018 Top Hospitals list recognizes a total of 118 hospitals across the country, organized into four categories. Hospitals in Illinois are represented in all but one category: top children’s hospitals. The Leapfrog Top Hospital award is not limited to a set number of hospitals. Instead, it is given to all hospitals that meet the group’s standards. Some 1,900 were eligible for the award, meaning they received an “A” in the group’s most recent hospital safety grade rankings, among other things. This is the third consecutive year U of C has been recognized as a top teaching hospital by The Leapfrog Group. A total of 53 hospitals were recognized in this category in the 2018 list. Dr. Matt Brown, system director of medical education for AMITA Health, said it’s an honor to be recognized. “As teaching hospitals, both facilities actively promote the values of quality and patient safety in the training of physicians in a variety of fields,” Brown said in a statement. 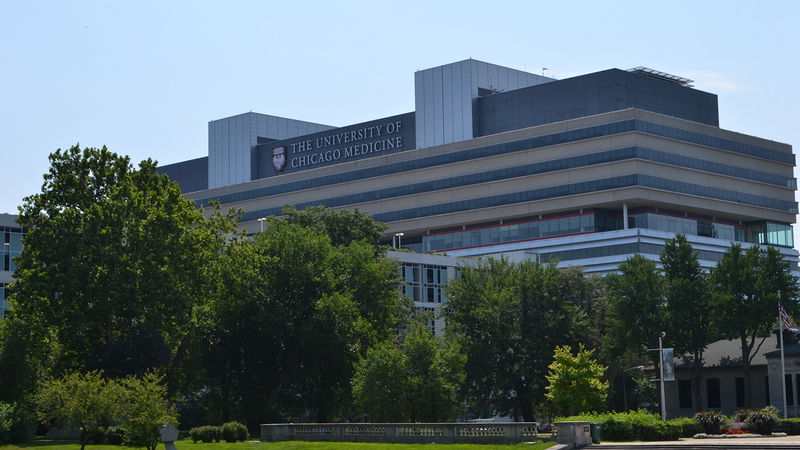 Elmhurst Memorial Hospital and Northwestern Delnor Hospital are among 35 hospitals nationally recognized as Top General Hospitals. Monmouth-based OSF Holy Medical Center was the sole Illinois hospital to be named a Top Rural Hospital this year. Only 17 hospitals nationally received such a distinction.